The F SPORT packages are very dynamic. 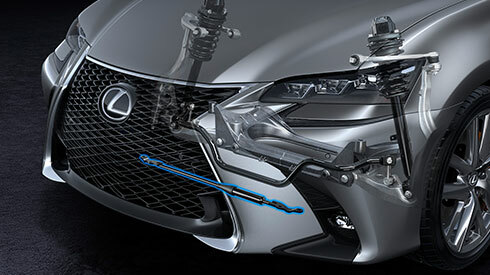 Witness the aggressive F SPORT front-end styling that integrates upper and lower honeycomb grilles, 19-inch alloy wheels, and discrete rear spoiler. 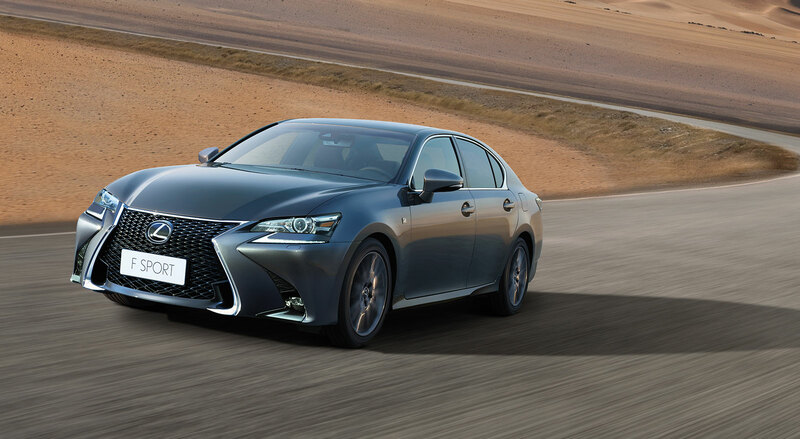 Developed at the Nürburgring, Fuji Speedway, and on winding roads around the world, the F SPORT packages offer an incredibly precise and exciting drive thanks to leading-edge technologies that includes LDH (Lexus Dynamic Handling system). LDH networks EPS (Electric Power Steering), VGRS (Variable Gear Ratio Steering) and DRS (Dynamic Rear Steering). VDIM (Vehicle Dynamics Integrated Management) manages LDH, AVS (Adaptive Variable Suspension system), VSC (Vehicle Stability Control), acceleration and braking to provide very smooth yet thrilling performance. A performance damper integrated into the front enhances rigidity and vibration damping performance, realizing exceptional handling stability that is at the heart of sports driving enjoyment. Large front and rear ventilated disc brakes contribute to powerful braking performance. 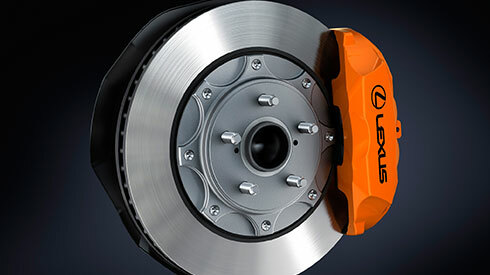 Orange calipers on the front and rear, featuring a Lexus logo on the front, express the exceptional sports performance. 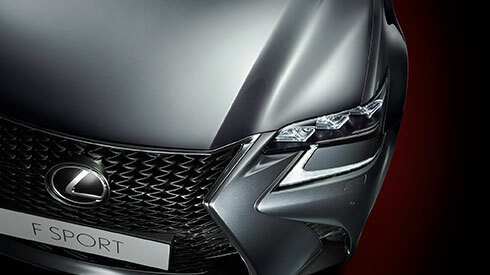 The leather design with diamond shaped perforations was developed exclusively for the F SPORT package. 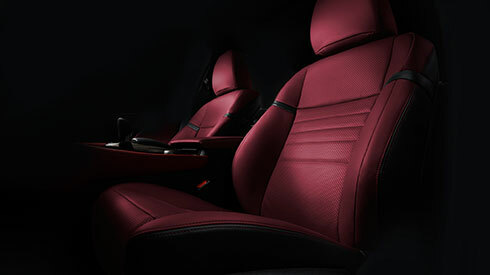 The vibrant Dark Rose is the signature F SPORT interior color. 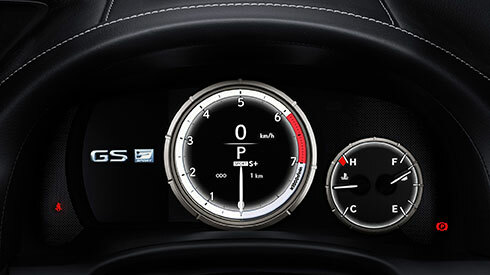 Dynamically displaying sports performance, the exclusive F SPORT analog tachometer features a large silver ring with an illuminated needle, and a precision digital speedometer and shift position/drive mode select indicators in the center. The multi-information display shows additional information including a turbo boost meter with oil temperature and pressure gauges. 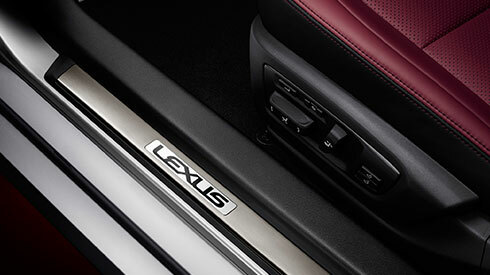 The front and rear door scuff plates are finished in brushed aluminum and inscribed with the Lexus logo exclusively in jet black.